This week was the start of sprint 3. Last week we finished our vertical slice and the main problem we still had was player feedback. The rounds would end abruptly and you wouldn't always know who lost & why. Over the span of this sprint we will implement the remaining pickups & improve player feedback. Helmet Pickup : This pickup will activate on being picked up & will give immunity from falling blocks. Breaks on hit. Border warning: blocks will turn red once their about to fall down into the water, giving the players time to react! Bomb block explosion: this particle is still a WIP because unity particle system is a bit different then unreal. 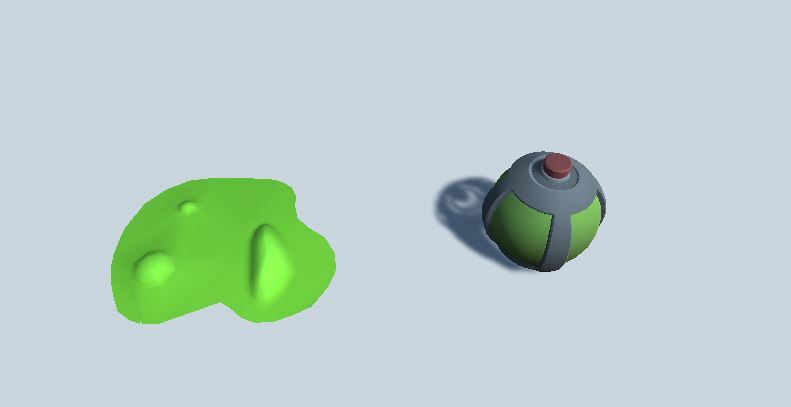 SlimeBall (on the right): this wil be the icon/ pickup you can use to leave sticky slime (left) .